Emerging Insider Communications sets forth to dive deeper into Social TV and the Multi-Screen landscape by bringing together a cross-discipline team to position and explore novel audience driven initiatives. A lot of the disconnect found in TV and other emerging media is due to fundamental flaws in the understanding of novel psychology and sociology behind audience behaviors, levels of engagement and motivation. Emerging Insider Communications, a boutique public relations and marketing firm is proud to launch the emerging TV industry's first comprehensive multi-discipline Think Tank to address disruptions, innovations and new methodologies across television, advertising, and the entertainment content landscape. The emphasis being on social TV and multiscreen endeavors. Emerging Insider is bringing on a range of professionals across non-traditional disciplines including media psychologists and sociologists to pair with their media and brand strategists in order to further understand and position social TV endeavors, multiscreen methodologies, advertising innovations and smart TV technologies. The firm believes that as the television and video content marketplace continues to mature, change and intersect with the digital landscape, a number of initiatives, marketing goals and development tasks need far greater levels of understanding when it comes to psychological and sociological data and methods. With a slew of innovations, methods and startups that entered and left the market rapidly, the belief is that a greater basis for understanding audience engagement across television, social media and digital devices is the key to evangelizing new products and engaging viewers. Emerging Insider will be bringing on renown Media Psychologist Dr. Pamela Ruteledge as a consultant to study and consult upon viewer behavior, user experience analysis and to help to develop strategies for engagement. The team also consists of sociology and anthropology consultants with backgrounds in media to provide deeper understandings of group behaviors and interactions on a holistic level. The group took the initiative to bring forth this variety of professionals across multiple disciplines to enhance and capitalize on marketing and Communications endeavors as well as research and development oriented tasks aimed at engaging audiences on both a business to business and business to consumer level. They believe it’s a way to stop throwing darts in the space and start developing audience driven initiatives with a strong foundation of efficacy. Emerging Insider Communications is a boutique full service Marketing and Public Relations consultancy and service provider. We focus specifically on emerging media and technologies and believe in a holistic and integrated approach. 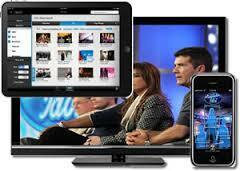 Our team consists of insiders from the Emerging TV/Video landscape, mobile innovators and Advertising disruptors.